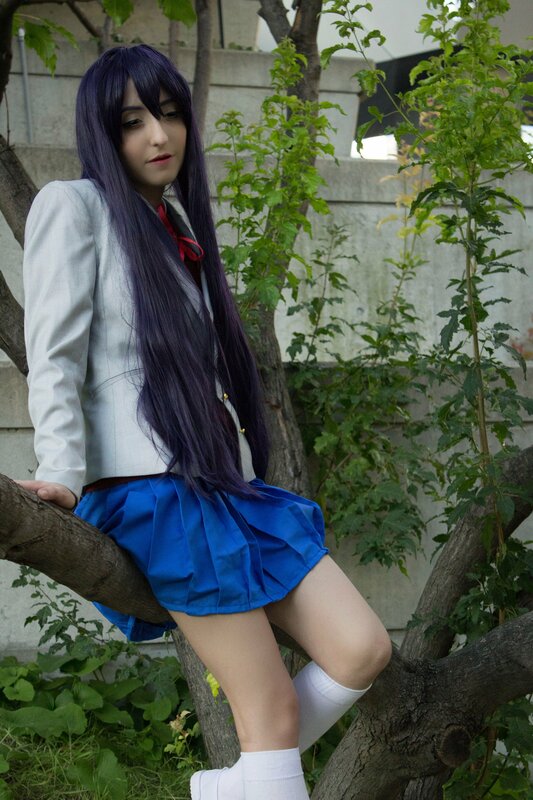 Check out this fantastic DDLC Yuri cosplay by SarnaiCosplay! DDLC, or Doki Doki Literature Club, is a visual novel that gained a devoted following thanks to its surprisingly subversive themes and effective mechanics. Yuri is one of the five members of the Literature Club, often portrayed with a shy yet refined personality. Enjoy a few words from SarnaiCosplay below, then keep reading to learn more about the EpicCosplay wig showcased in this great photoset. Attending Fan Expo Canada 2018 in Toronto, Ontario. The outfit is based on the character Yuri from the video game Doki Doki Literature Club. To create the flowing locks that make this character so recognizable, SarnaiCosplay used the Persephone wig from EpicCosplay as a base. This wig is super versatile but serves as a perfect choice for styles like this one. From the package, Persephone measures at an impressive 40 inches in length. Of course, cosplaying a character with such long hair presents its own challenges – especially when it comes to keeping the style neat for outdoor photoshoots like this one. 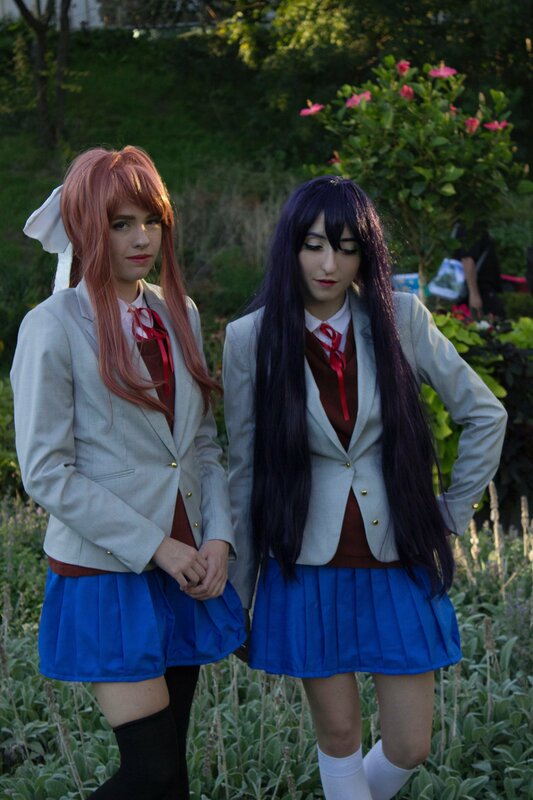 Thankfully, this DDLC Yuri cosplay was able to benefit from the tangle-resistant fibers that make Persephone such a pleasure to wear. Persephone is a great match for any DDLC Yuri cosplay right from the package. Bangs styled into a double part further improves accuracy to the character art. This wig is fitted with a skintop at the crown to accommodate a variety of part directions. EpicCosplay wigs like Persephone play nicely with all the most popular holding. They’re also heat-resistant to help set styles in place, or to create more complicated looks with styling tools. Make sure to check out the Using Heat Tools page for guidance or ideas if needed.